Our company holds vast experience in this domain and is involved in offering CAD Drawing Service. As the word suggest a 2D image of a Floor Plan will be created from your CAD drawing from top, showing Details of floors, colors of floors, Total area of Rooms, plots etc. Our enterprise is engaged in rendering Site Development CAD Drawing Service to our esteemed clients. we teach to all age groups from 2.5 years to student who is 64 years old and presently learning with us. Making learn an experimental process by involving various mediums and making a master piece. We provide excellent Architectural CAD Drawing Services. Revit Modelling, BIM services, 3D Modelling, 3D Rendering services at affordable cost in Canada. 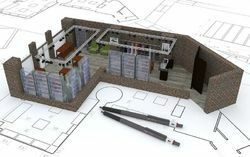 CAD Outsourcing provides exhaustive solutions for HVAC Shop Drawings. At CAD Outsourcing we are pledged to serve persistent HVAC Duct Shop Drawing Solutions to large number of Contractors, Engineering Firms, Architects, Real Estate Developers and Individuals worldwide. We specialize in Auto CAD Drafting Services. We utilize latest versions of AutoCAD, AutoCAD Map, AutoCAD raster design and 2D & 3D design drafting services are also part of these services which are effective and cost competitive. We convert all type of drawings like civil, mechanical, electrical &instrument, steel structure etc. and creation of in- built drawings. Asia-Infotech is a leading CAD Engineering design company based in ahmedabad, India provide cad drafting services, cad services, engineering services, cad design services, 3D cad drafting services, 2d cad drafting, 3d modeling services, autocad drawings services to clients worldwide. We are one of the leading service provider of CAD Drawing to our valuable client. 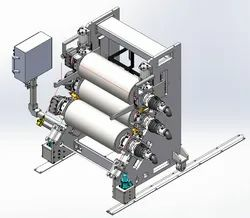 our CAD Drawing services are very well appreciated in the market. Our DWG module allows customers to upload A CAD floor drawings and mark workspaces to get visual representation of location, asset and occupancy status. Hovering the mouse over individual workspace triggers display of assets and occupants in a balloon. There is also a coloured representation of workspaces based on their status. MECHCI CADD Engg Pvt ltd specializes in delivering a comprehensive range of 2D/3D CAD, drafting and detailing solutions for the industrial and engineering sector. Powerful and easy to use drafts prepared by us. Speed up product development, improve design communication. Rapidly bring products to market.